I discovered OZZYB/SANTI on twitter off of the back of the amazing producer/artist ODUNSI ” The Engine”. His EP release was making a lot of noise in the African market. However what hit me was the fact that there was no real category or box his music fit into. 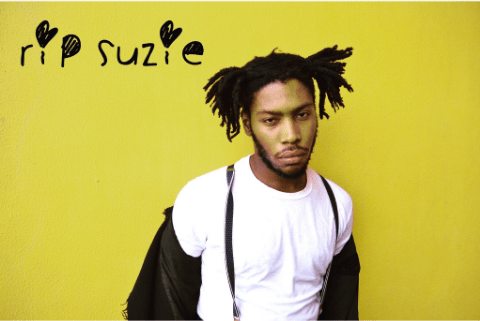 His latest EP “Suzie’s Funeral” has already hit well over 30k plays in only the first week of release. The EP mixes an afro-infused sounds along with melodies and vibes from Jazz, Hip-hop and Trap…. Alternative Hip-hop is the genre in which this EP has landed. The art work on the EP cover itself was just a taster of the quality of work my ears went on to hear.